Every fall, two things happen that mark the shift from summer into the fall. The first is when someone calls to ask when to stop feeding the hummingbirds. The answer is whenever the hummingbirds stop eating the sugar water. They know when they need to fly south, and no amount of enticement on our part will convince them to stick around for winter. 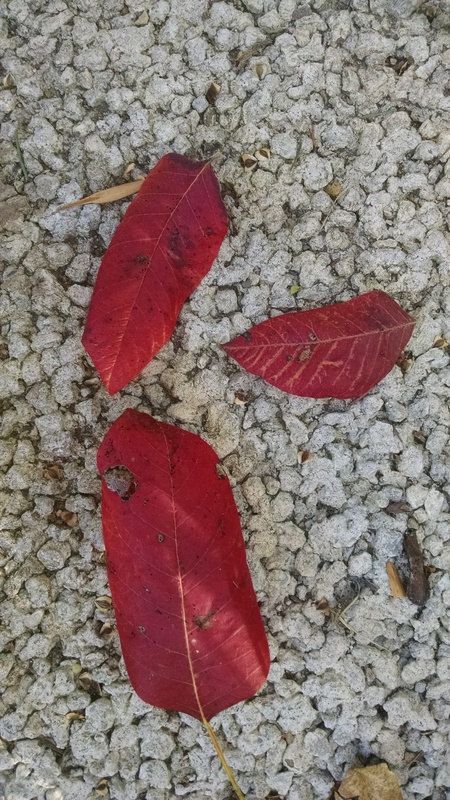 The second is when someone brings me a beautiful red leaf to identify. This is poison ivy. Stunning, and still full of toxic oil. Off of its vine, there are no “leaves of three.” The characteristic “mitten tips” curl under almost immediately making it a tough one to identify. There is, of course, plenty of non-hazardous beauty out there. 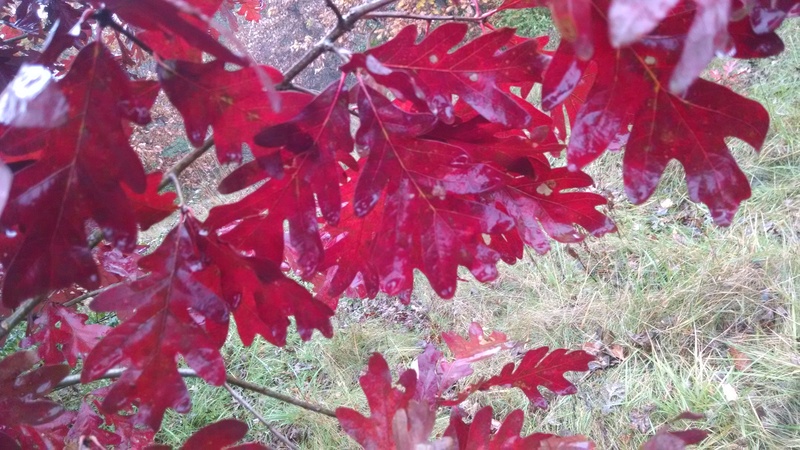 White oak leaves after a rainstorm. Sugar maple leaves. Both the oaks and the maples produce golden leaves as well this time of year. 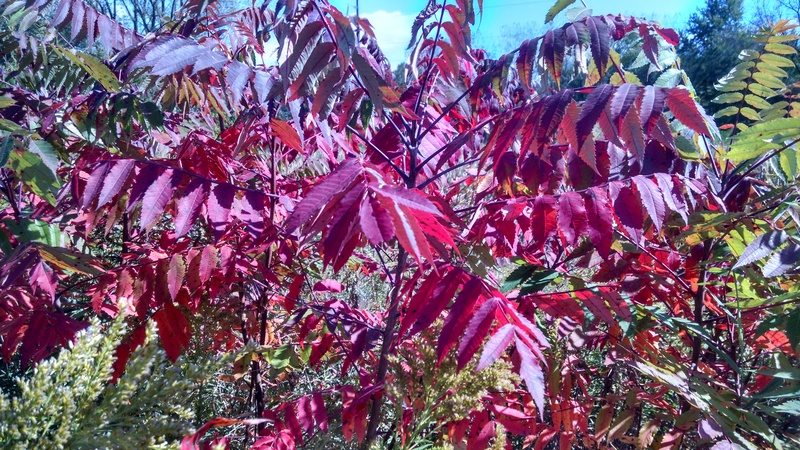 Sumac leaves, on the other hand, only turn red before falling off. 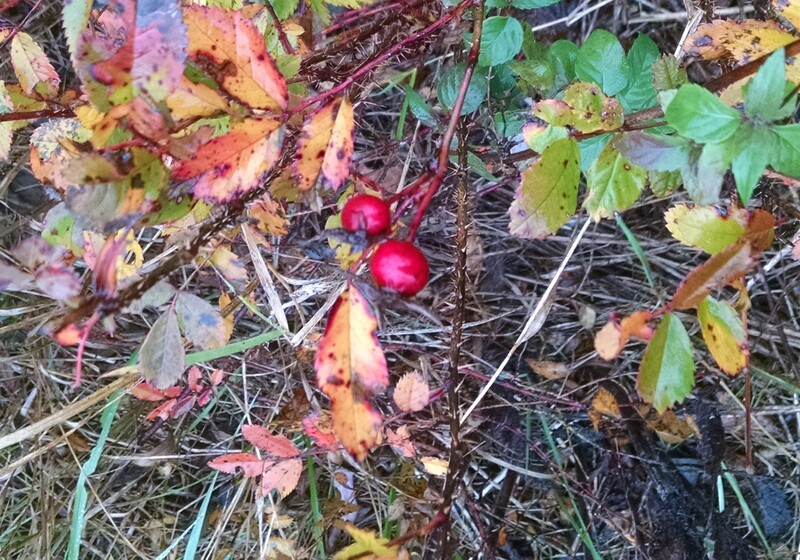 The red I was most excited about discovering on my last walk was a lovely patch of rose hips. Not only are the hips edible, I was able to cut them in half and save the seeds for future plantings, while drying the rose hips for turning into tea. What wonderful displays of red! 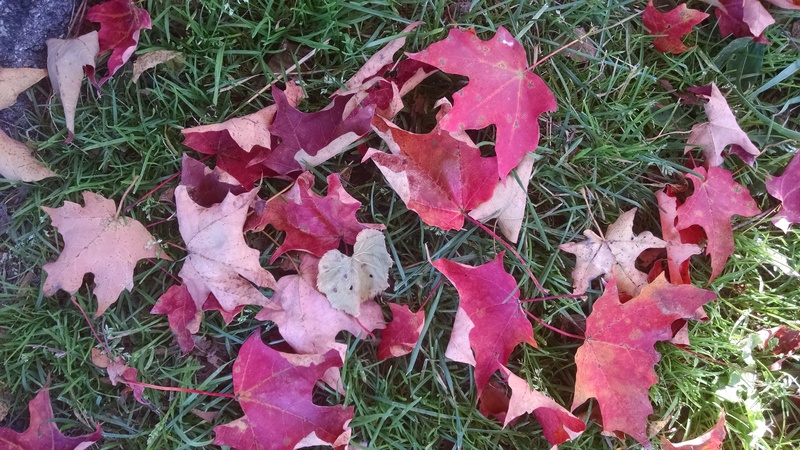 Now that I am a Sonoran desert-dweller, my autumn nature walks are…still green-ish.